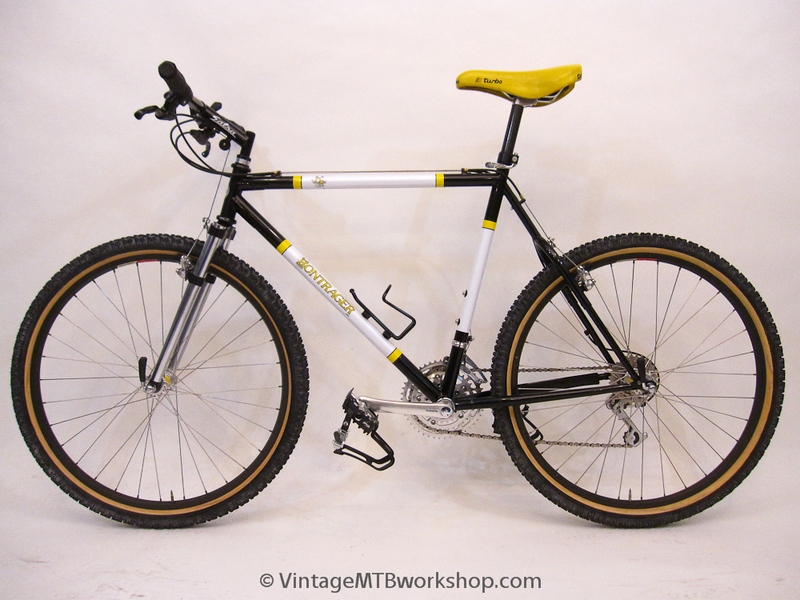 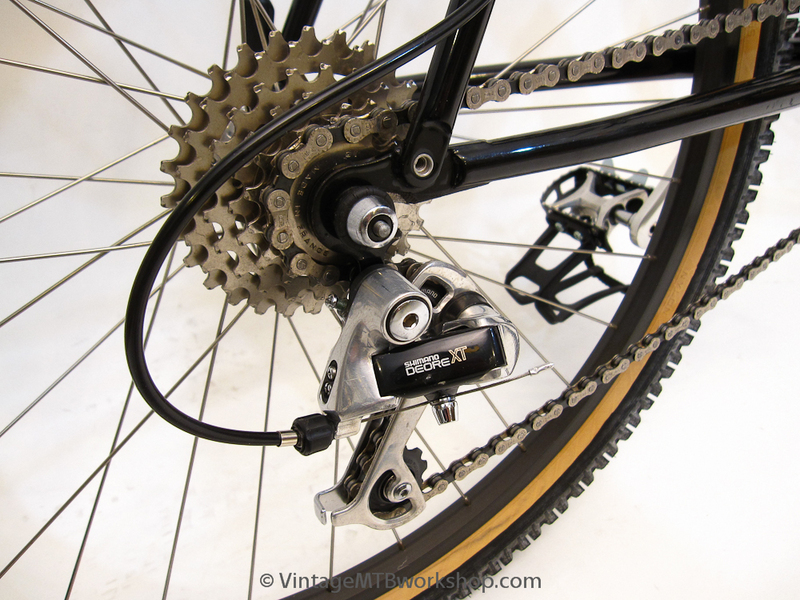 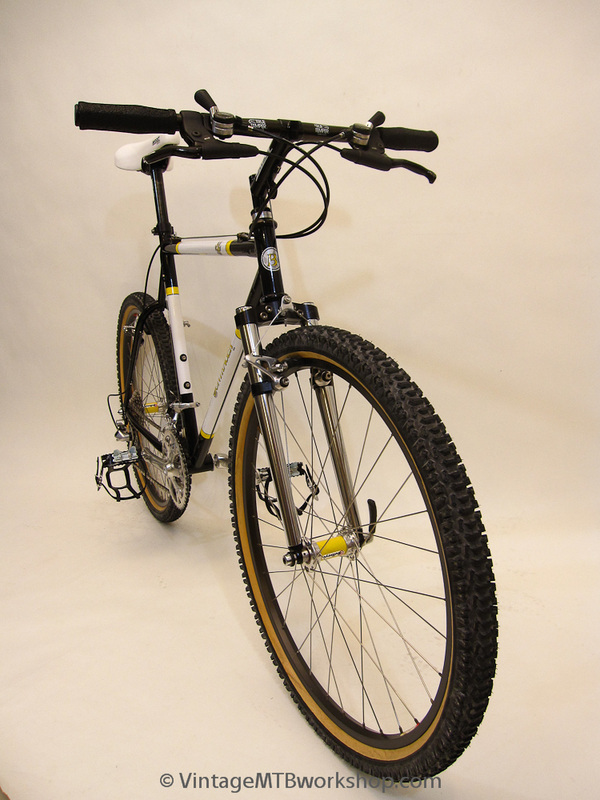 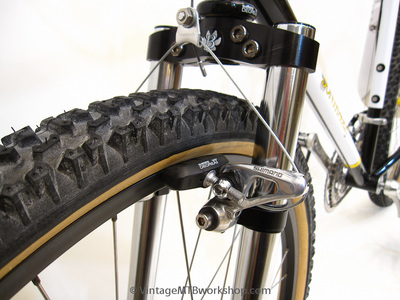 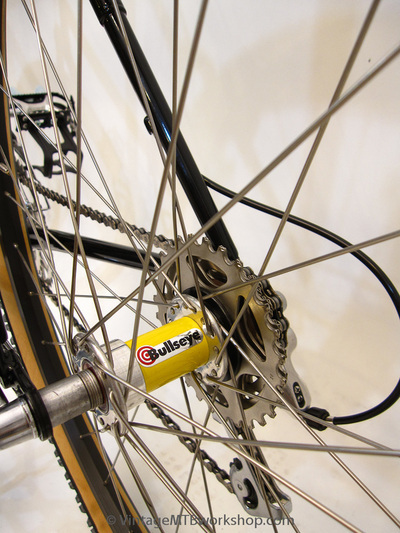 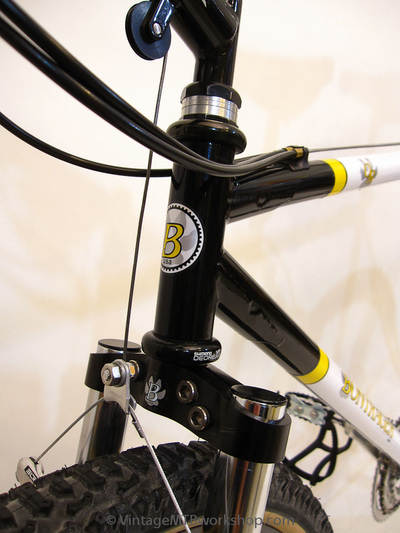 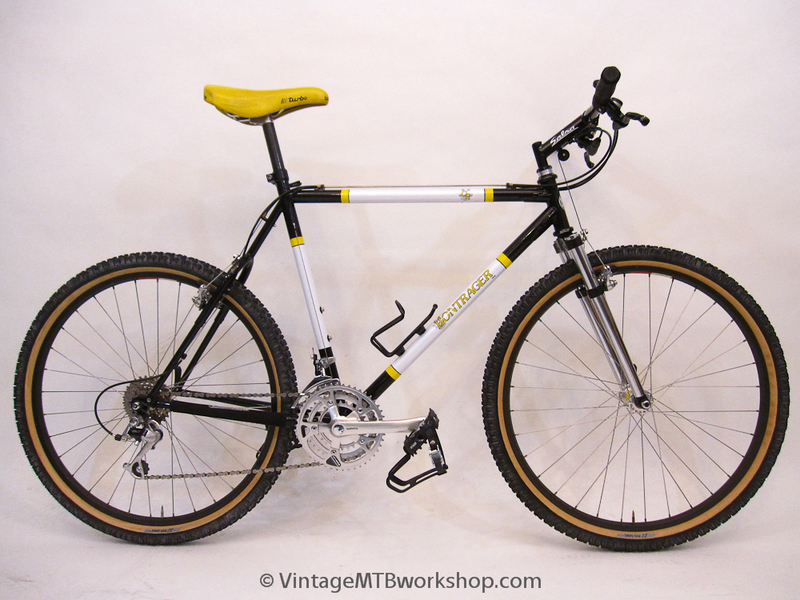 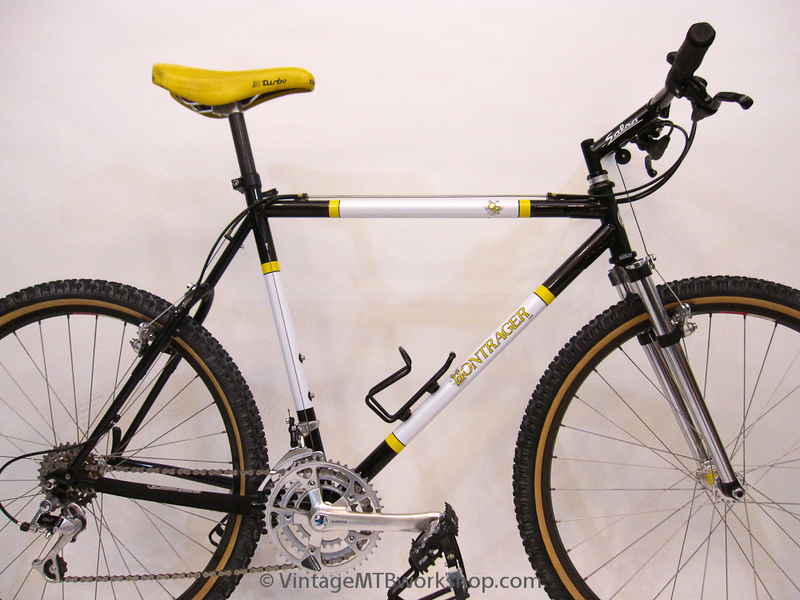 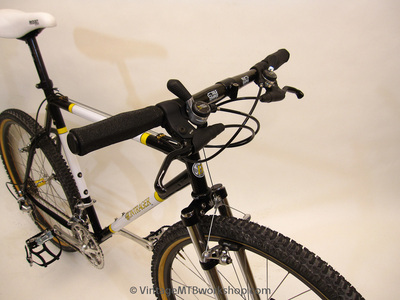 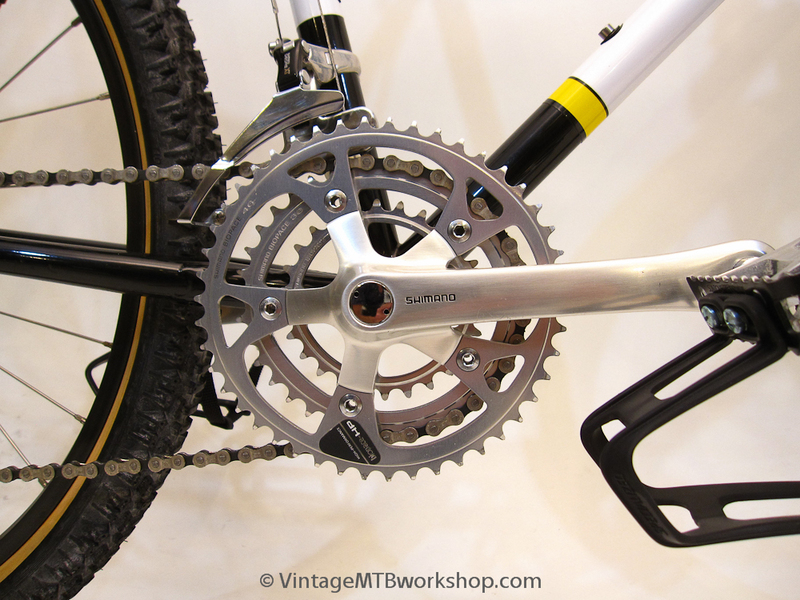 The Bontrager Off Road was a featured bike in the 1990 article "Steel Fights Back" in Mountain Bike Action. 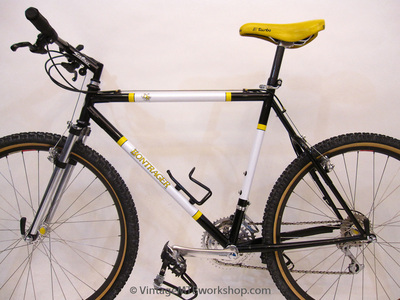 While they seem to be a fairly common vintage bike, but this one has some early features that illustrate Keith's out-of-the box thinking, like the riveted cable guides, simple rear cable stop, seattube quick-release, derailleur pulley, bottle bosses, and minimal gussets. 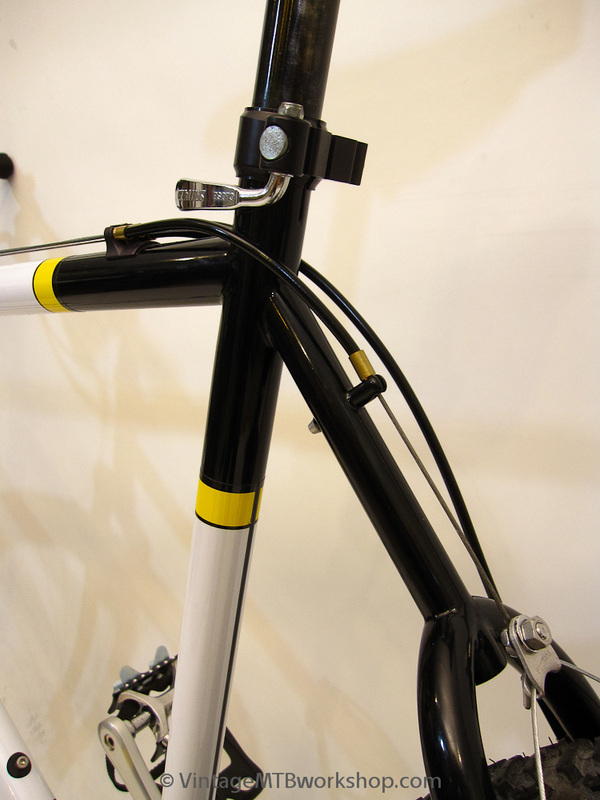 The build is straight forward Shimano M732 with some color-matched components. 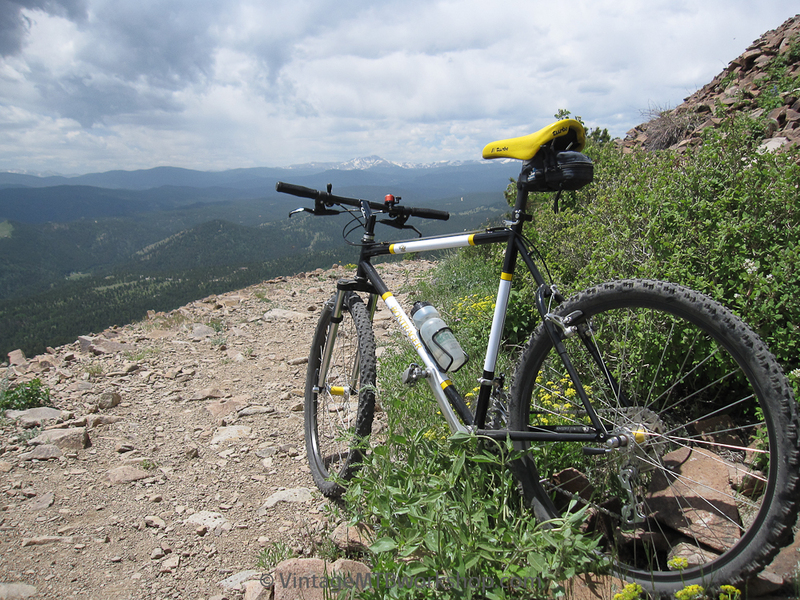 While the steep geometry is a handful on the descents, this is one of the best climbing bikes with very nimble steering when things get slow and rough.